Here, we’ll take a deeper dive into its use in mitigating certain disease symptoms and side effects created by cancer treatments such as chemotherapy and radiation. Marijuana has a long history as a therapeutic agent, not only in traditional folk medicines, but also in mainstream medicine where it was historically prescribed by physicians to treat a range of conditions until being removed from The U.S. Pharmacopoeia in 1942. It’s pretty clear from anthropological and archaeological evidence that cannabis has been used as a medicine for thousands of years — and it was a medicine in the US until 1942. I’m an oncologist and I say all the time, not a day goes by when I’m not recommending cannabis to patients for nausea, loss of appetite, pain, insomnia and depression — it works. Resurgent interest in marijuana’s healing properties came with the passage of California Proposition 215 in 1996. Worth noting is that one of the primary backers of the bill was a registered nurse, Anna Boyce, who had helped her husband obtain marijuana when he was dying of cancer. He started chemo. He was ill. He was sicker from the chemo than he was from the cancer, because he wasn’t even aware how bad the cancer was. It was not only in the lung; it was in the liver and pancreas. He was given three months. The oncologist agreed [that] he could use marijuana. Two puffs and my husband would go for chemotherapy with a smile and come home happy. He didn’t [need to smoke it] again until the next day. The use of cannabis-based medicines in pain management has moved beyond anecdotal justifications as studies indicate the effectiveness of these marijuana derivatives. Research has shown that components of marijuana can stimulate activity of the brain’s cannabinoid receptors, which act in much the same way as opioid receptors to regulate nociceptive processing, resulting in a reduction of pain signals associated with tissue damage and bone pain (which is a frequent cancer symptom). [Medical cannabis may be] as tolerable and effective as current neuropathic agents. An observed drop in opioid use: Although opioids were the most consumed drug by patients at enrollment, after 6 months of cannabis use, 36% of them had stopped taking opioids entirely, and an additional 9.9% decreased their dosage. In the face of the dramatic opioid epidemic in the United States, this finding offers reasons for hope. New combinations of cannabinoids may prove even more effective than opioids and current cannabis-based medications, the study went on to report. THC/CBD-balanced preparations, if well produced and standardized, could be considered a therapeutically safer option than dronabinol or nabilone. Two of the unpleasant side effects of many chemotherapy programs are nausea and vomiting. A range of antiemetic drugs are prescribed to mitigate chemo-related nausea and vomiting, including serotonin and dopamine receptor blockers, NK1 receptor blockers, and corticosteroids. Each of these medications has its own potential side effects, and not all patients respond positively to these medications. 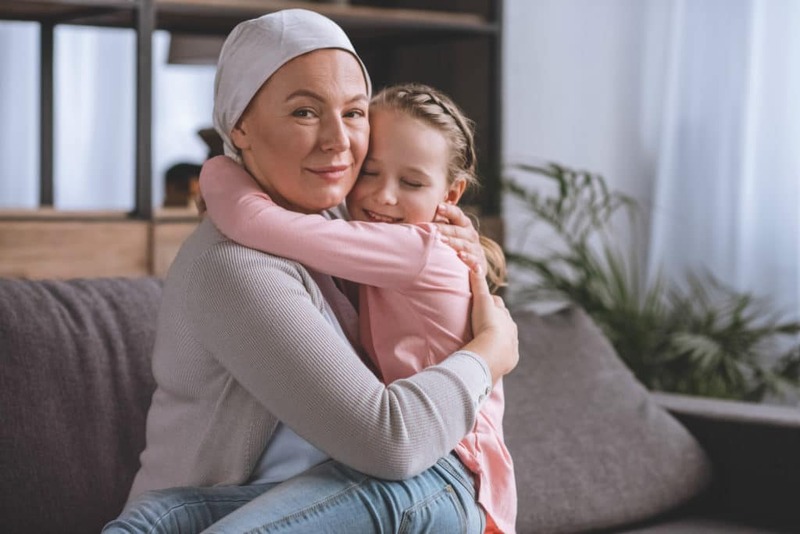 As early as the 1970s, the potential therapeutic benefits of THC, CBD, CBG and other cannabinoids in cancer treatment were becoming apparent; there have since been more that 1,100 papers published on the subject. Before medical marijuana became legal in many states, the research community investigated the efficacy of cannabis-derivatives such as Marinol (dronabinol), which is a FDA-approved cannabis-derived medication first used for HIV/AIDS-associated appetite and weight loss. Studies showed that dronabinol could be used either alone or in conjunction with traditional antiemetics to reduce chemo-related nausea and vomiting. Cannabinoids were more effective antiemetics than prochlorperazine, metoclopramide, chlorpromazine, thiethylperazine, haloperidol, domperidone, or alizapride. When compared with placebo, participants who received cannabinoids were five times as likely to report complete absence of vomiting, and three times as likely to report complete absence of nausea and vomiting. Overall, there was evidence that participants preferred cannabinoids to conventional anti-emetics; however, the majority of the trials were of prochlorperazine. There may be an additional benefit of administering a cannabinoid with another anti-emetic agent. Cannabinoids are a useful adjunctive treatment to consider for people on moderately or highly emetic chemotherapy that are refractory to other anti-emetic treatments, when all other options of therapy have been tried. Loss of appetite is a common symptom of some cancers, as well as cancer treatments including chemotherapy, radiation therapy and surgery. Marijuana has a history of use for the stimulation of appetite, and numerous studies have linked the cannabinoid THC to appetite stimulation. This led to the FDA’s 1985 approval of cannabis-based medication dronabinol (Marinol) for the treatment of anorexia and/or weight loss in HIV/AIDS or cancer patients. In clinical studies, THC has shown significant stimulation of appetite and increase of body weight in HIV-positive and cancer patients. The appetite-stimulating effect of cannabis itself has also been well documented in many anecdotal cases. There are strong indications that cannabis is better tolerated than THC alone, because cannabis contains several additional cannabinoids, like cannabidiol (CBD), which antagonize the psychotropic actions of THC, but do not inhibit the appetite-stimulating effect. New research from the University of Washington has identified some of the “hunger triggers” created by inhaled marijuana. These findings came from an animal-based study that investigated the effects of vaporized cannabis on the hypothalamus. The hypothalamus is a portion of the brain plays a critical role in regulating energy balance by modulating both food intake and energy expenditure. CB1 receptors within the hypothalamus respond to cannabinoids, including THC, creating a ghrelin surge which increases hunger sensations. Inhaled marijuana also stimulates CB1 receptors within the olfactory bulb, heightening the sense of smell to further stimulate appetite. The American Cancer Society supports the need for more scientific research on cannabinoids for cancer patients, and recognizes the need for better and more effective therapies that can overcome the often debilitating side effects of cancer and its treatment. CannaMD is committed to helping cancer patients pursue a better quality of life. To see if you qualify for medical marijuana treatment, complete a brief application or call 1 (855) 420-9170. For more information on how Florida’s medical marijuana system works, download CannaMD‘s FREE e-book: Medical Marijuana Basics.